Can DST help enhance productivity, health and well-being? We’ve all heard the popular 17th century English phrase: “The early bird catches the worm.” But this is not necessarily true for everyone, especially in today’s 24/7 high-tech mobile, digital and virtual Information Age. Therefore, ask yourself whether you’re a so-called “Early Bird” or a “Night Owl”? The answer to this seemingly innocuous question says a lot about how you approach the start of Daylight Saving Time (DST), which began Sunday in the USA. If you’re a proverbial night owl, like me, more daylight in the evening hours is of utmost importance. In fact, there are many practical reasons why more daylight makes good business sense in terms of increasing productivity and benefiting the overall health and well-being of employees. In addition to the USA, about 70 countries are reportedly impacted by DST. Thrive Global founder and CEO, Arianna Huffington, has documented the significance of gaining enough sleep to truly thrive in our lives. Perhaps you’ve read her recent books, articles and interviews. You can watch her 2010 TED Talk here about how more sleep can lead to more personal and professional success. Thrive also reminds us, “Science proves the vast majority of us need 7 to 9 hours [of sleep] per night to perform at our own personal and professional best, but too often we fall short of that.” Yet this can be an understatement for some people who struggle with sleeping soundly for only four to six hours per night (or less). 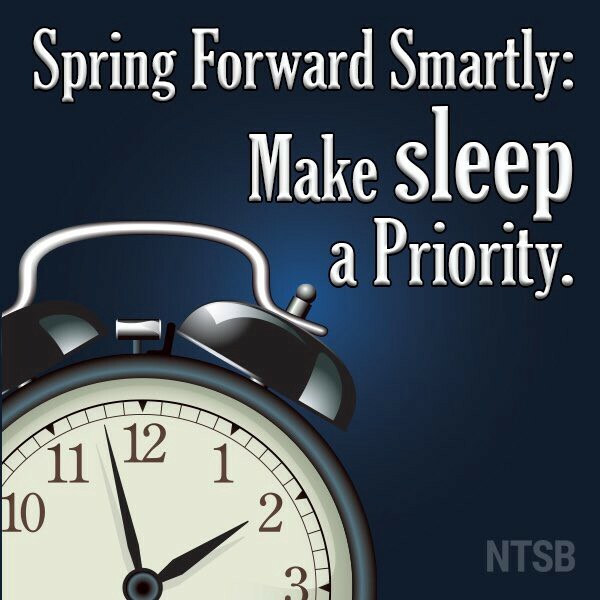 The start of DST is bad news for early risers, like my better half (a high school teacher) who wakes up for work at 5:30 a.m. That’s why she’s livid about changing the clocks. This means she now must wake up and commuting to work in the dark. This perspective makes sense for a morning person. Thrive’s Shelby Lorman writes about when the sun will “rise and set in your city” following the start of DST. Therein stems the dilemma between early birds versus night owls, as we now enjoy more daylight in the evening: who benefits and who suffers? And what makes that mere hour of extra sunlight at night such a valuable commodity to those of us who are nocturnal by nature? Furthermore, the end of DST reportedly costs the USA alone nearly half a billion dollars annually in productivity losses. First, we all consume vast amounts of energy in today’s fast evolving digital age where use of solar power is trending upward. Thus, in an effort to enhance energy efficiency and business cost savings, countless numbers of companies have “gone green” with the growing popularity of solar energy. Gaining that extra hour of daylight at night means less money spent by employers and consumers alike. Another consequential benefit of gaining an hour of sunlight in the evening is more productivity and better results for some employees. Another upside for business is more revenue for some industries, particularly tourism and hospitality. I don’t know about you, but I’ve observed over the years that more employees tend to go home earlier once it becomes dark outside. Similarly, most tourists tend to curtail their outdoor activities. Yet with more sunlight at night, just the opposite occurs. This is because our subconscious minds may equate darkness with sleep. It’s certainly no secret that darkness impairs the vision of drivers, which leads to more vehicular accidents. More folks fall asleep at the wheel, have collisions with other vehicles or objects, and hit innocent pedestrians trying to cross the street or bike home from work, for example. “Studies link DST to reduced road injuries,” reports TimeandDate. The medical community — particularly cardiology, psychiatry and psychology — are well aware that less daylight leads to an increased risk of heart attacks, in addition to higher rates of depression and suicide. For instance, Seasonal Affective Disorder (SAD) negatively impacts the health and well being of millions of people across the globe. Of course, this is remedied to some extent by medication, therapy and the use of light boxes to provide more artificial light. Still, SAD remains problematic as a health concern. To the contrary, more sunlight results in better mental and physical health. All the factors noted above represent some significant considerations as the evening looms later. But what’s most important to YOU? In essence, whether you’re a night owl or an early bird, everyone appears to give a hoot or chirp about DST. Lastly, most of us find peace, tranquility and inspiration in nature. And for night owls (like me) this includes watching the sunset. It’s a lot easier to observe a sensational sunset later in the evening compared to earlier. This is primarily due to traditional work schedules and longer commuting times which cause people to arrive home from work later. Whenever I have the opportunity to watch a beautiful sunset it helps spark my creative thought process — serving as a catalyst for new ideas, inspiration and motivation. These are beneficial factors for some writers, artists and other creative types. What about you? Communications and PR strategist delivering high ROI via earned media, social media marketing, corporate branding, blogging and speechwriting. As a former federal government spokesman, I've held political and career positions in the White House, Congress, EEOC and OMB. A native New Yorker, I graduated from the University of Maryland, College of Journalism, and worked in the national news media prior to my public service.